Happy Thursday morning to you! new dies from the July release! 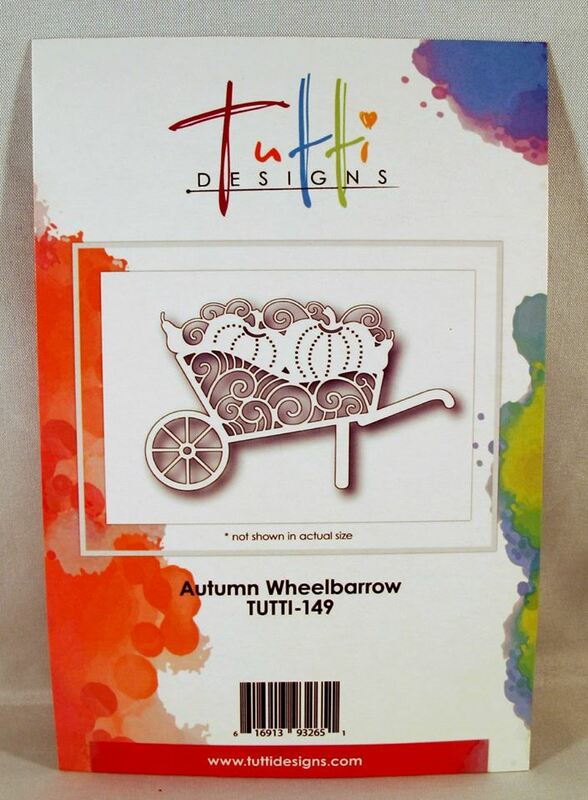 The die I have used today is Autumn Wheelbarrow. I did a pretty basic card letting the die take stage so to speak. After all, these dies are a perfect size for 'center stage'! 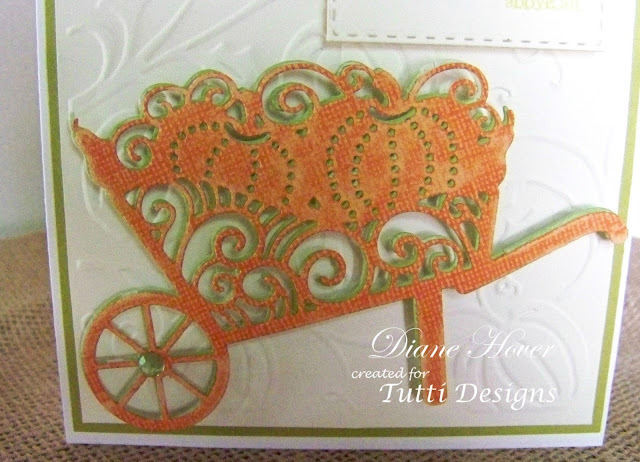 I layered my card, first with an olive green background. 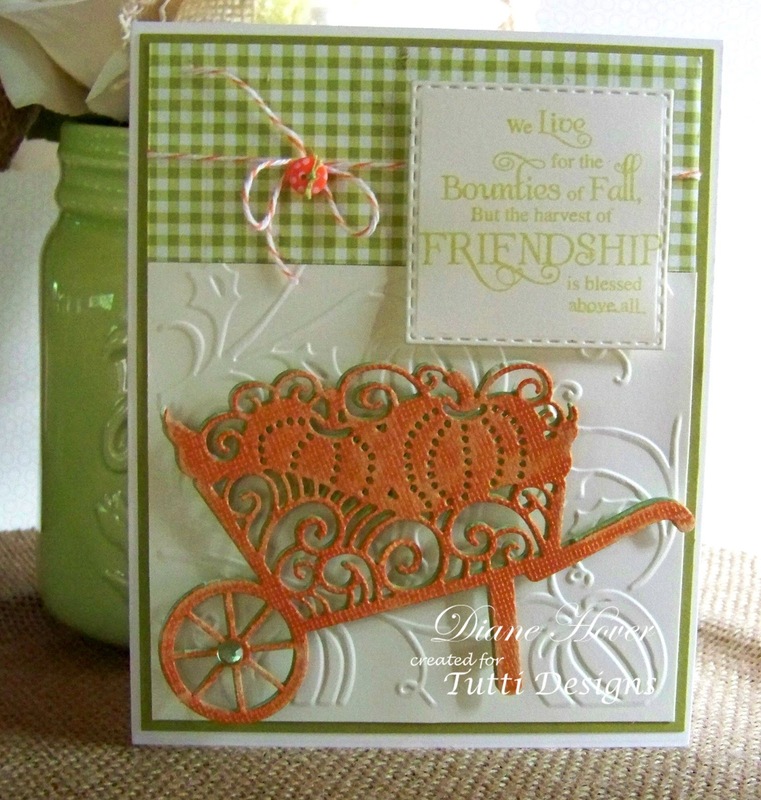 with a pumpkin vine embossing folder. then added the gingham scrap piece. orange cordinations paper that I carefully sanded. I say carefully as this pretty die has so much detail. a tiny bit it just adds a bit of interest. The entire piece was then popped up. 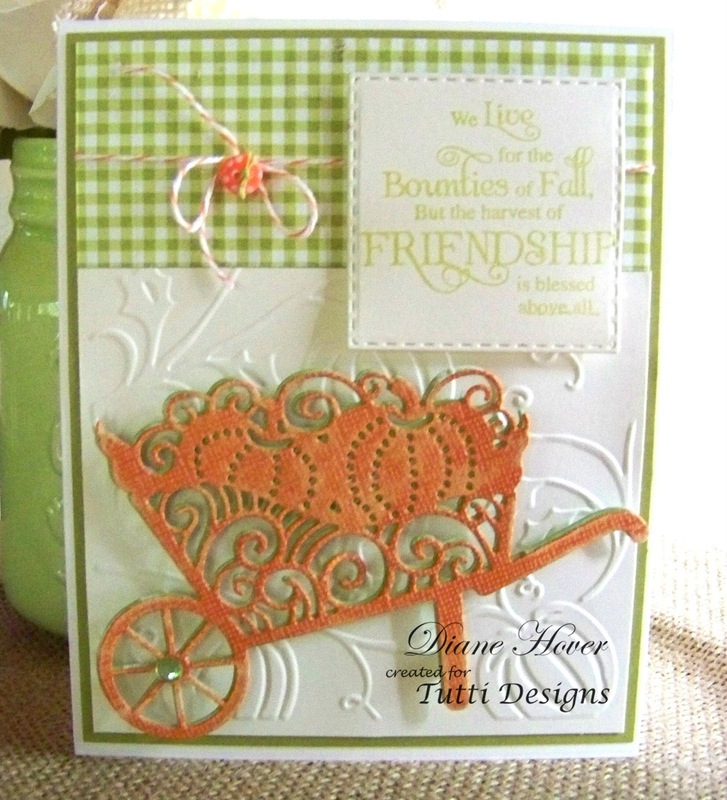 This is fabulous ... love the colors and design! Awesome inspiration!